Wow, wow, wow! 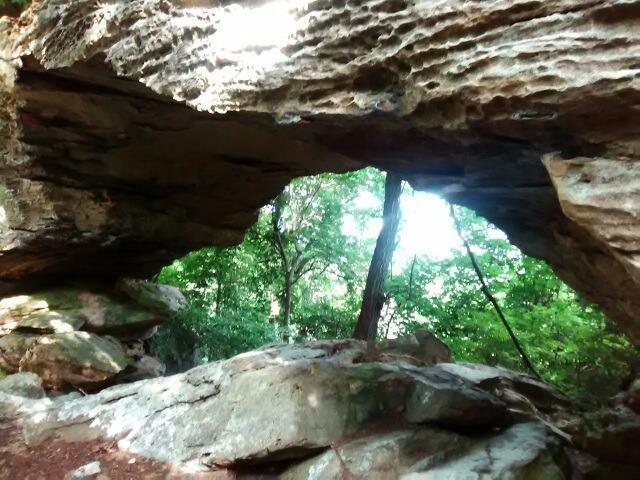 Yes, it's a natural arch on your very own property! Privacy, cliffs, woods, and incredible views! Go exploring on 115 acres of land suited for your recreational use with so much to offer including a stocked fish pond, 4-5 miles of trails, and 2-room cabin with a gas well. Another primitive hunting cabin also on property, as well as other wildlife ponds. Lots of woods and abundant wildlife here with some truly unique and gorgeous views. On the waters of Indian Creek. Gated on a private road. Part of property has been surveyed. One of a kind, private, recreational property and centrally located to nearby towns and other recreational amenities such as fishing, boating, hiking, rock climbing, and more. You probably won't want to leave this peaceful retreat, but if you must, you're only 5 miles to Frenchburg, 20 miles to Mt. Sterling, and also just a short drive to Long Bow Marina at Cave Run Lake (17 miles) and Red River Gorge/Natural Bridge (28 miles).